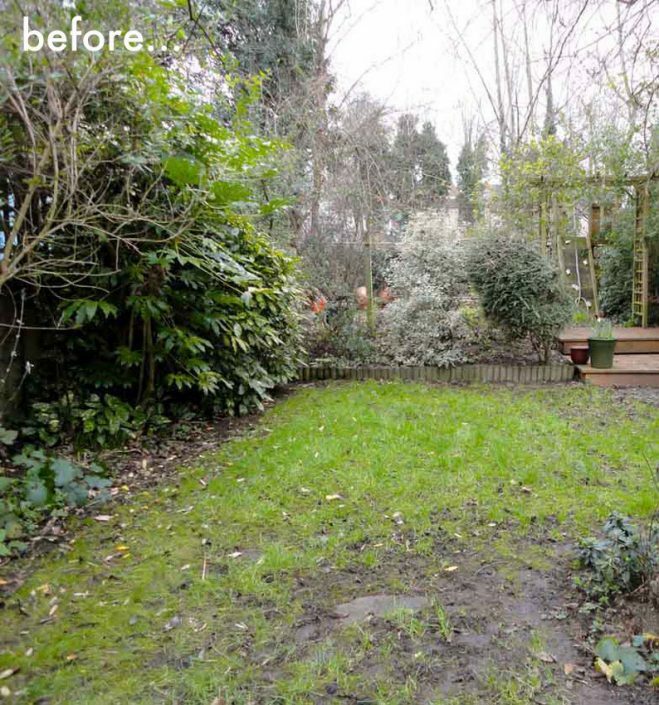 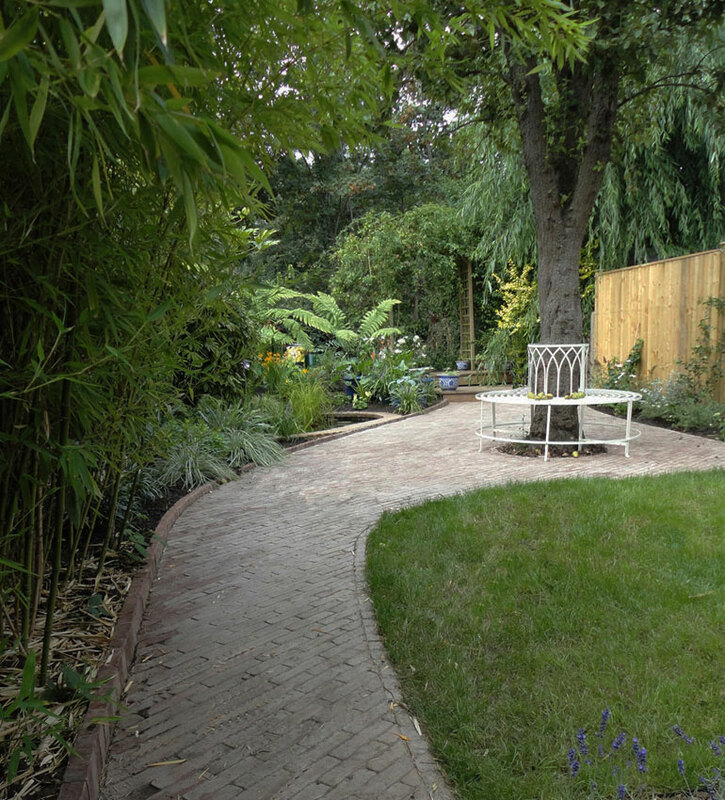 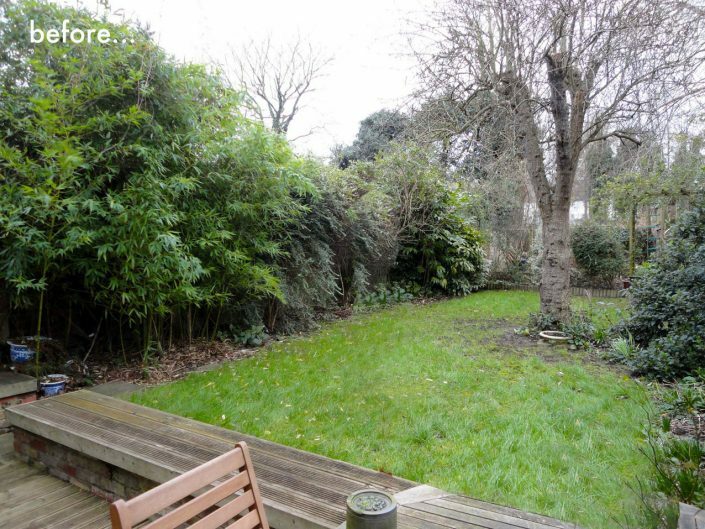 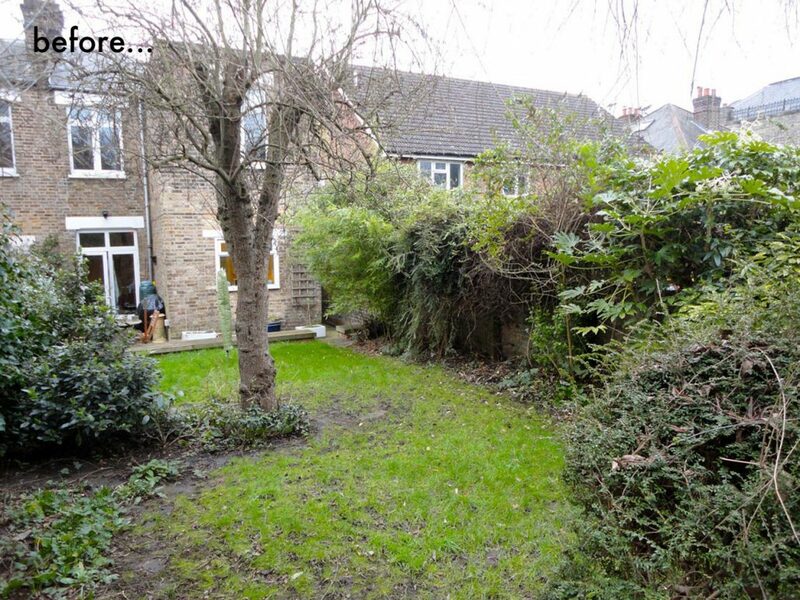 This was a typical London back garden that had seen better days and required a big change of atmosphere. 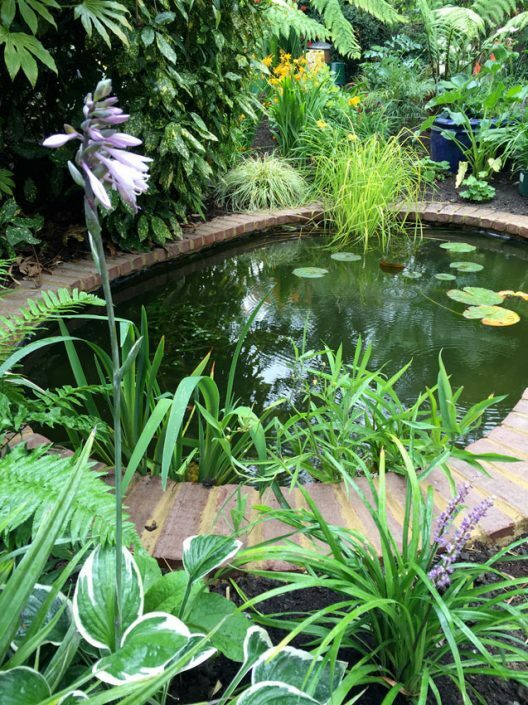 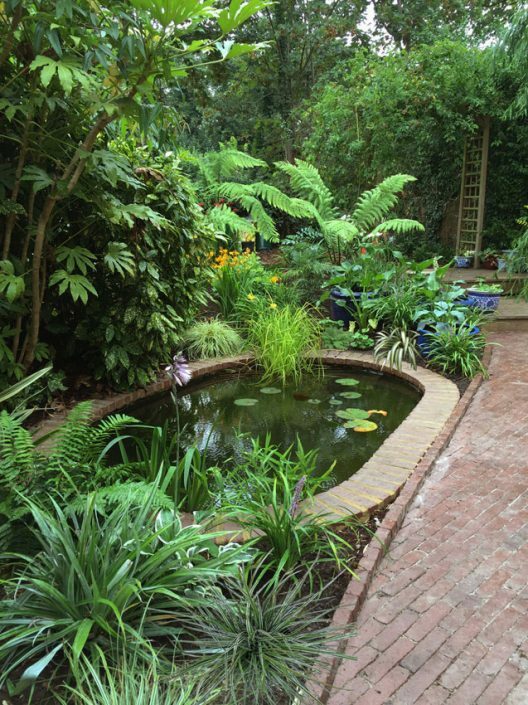 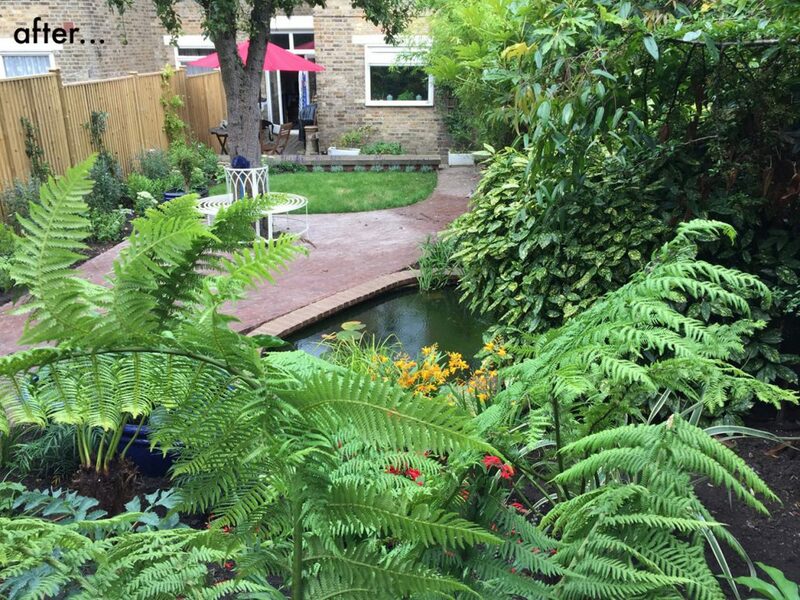 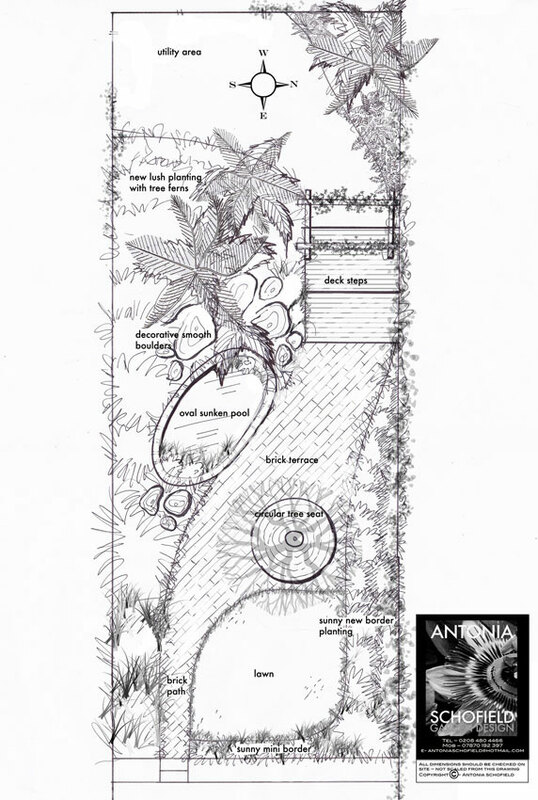 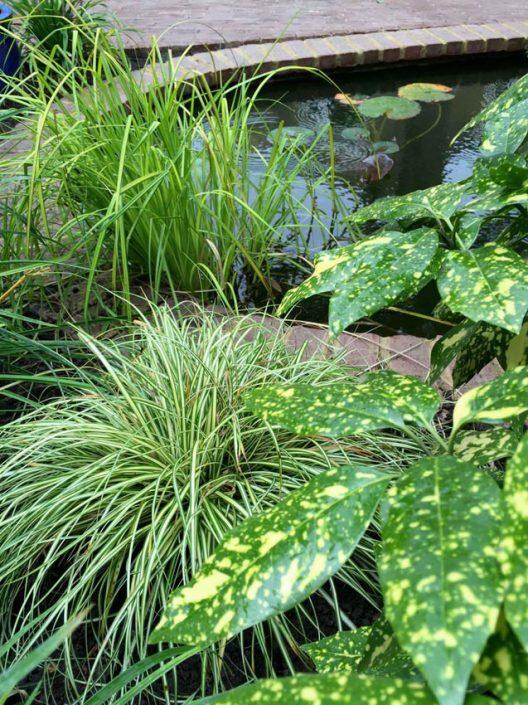 The main points of request from the client was a pool for fish and a planting scheme that was lush and would encourage wildlife into the garden. 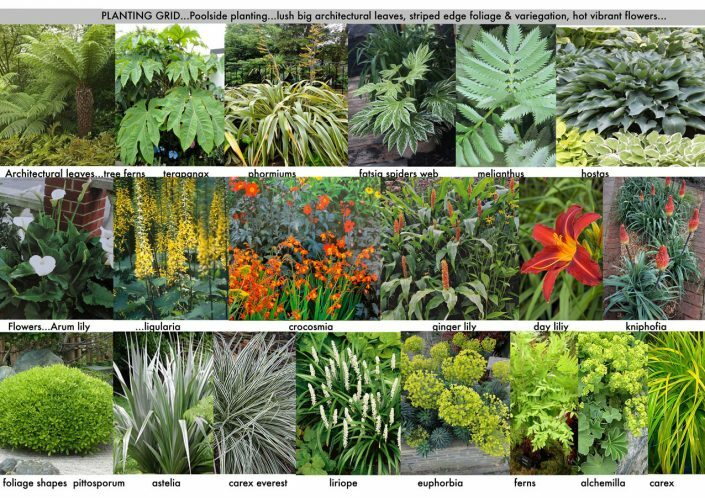 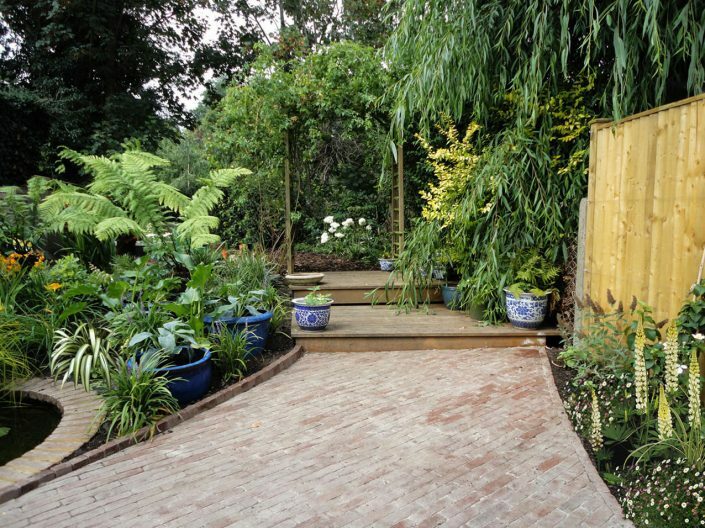 The plot is long & narrow with very different aspects and conditions so different planting styles were also needed. 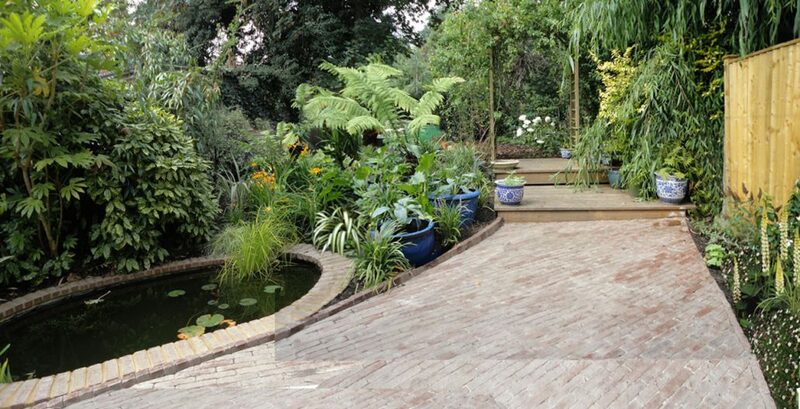 A theme of curves developed to detract from the long & narrow aspect, and a curving terrace was made from special vintage style Belgian bricks, which anchored the whole scheme. 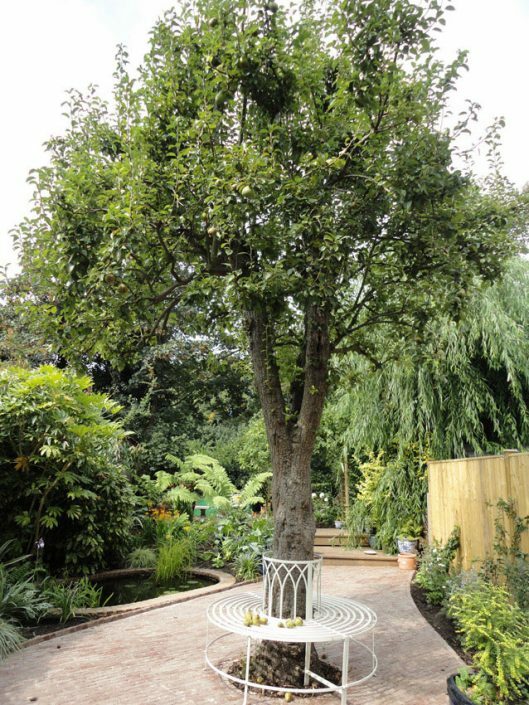 The curve theme continues with the antique bricks framing the new reflection pool, edging the curving borders, and with the addition of a circular tree seat around the old pear tree that created a new focal point. 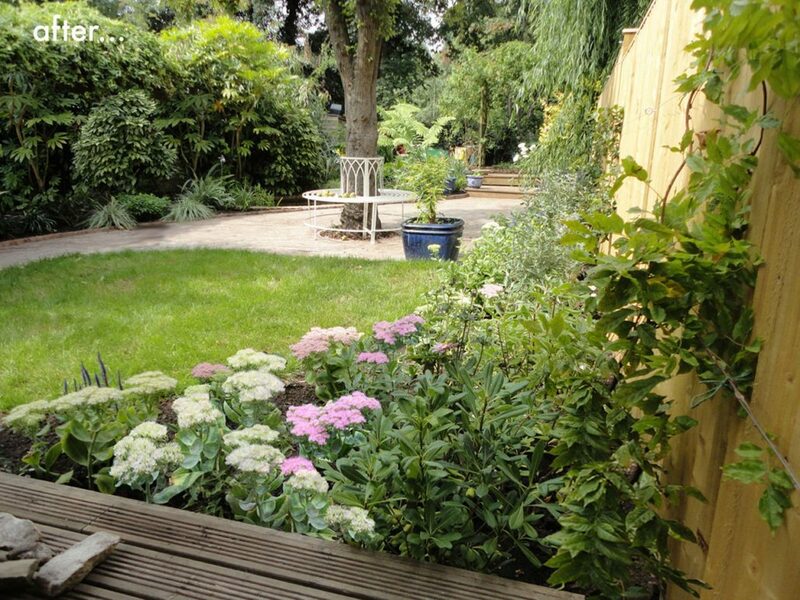 The first zone and the new lawn were the sunniest spots closest to the decked sitting area so scented climbers, shrubs, and herbaceous perennials were used to cloak the new fencing and fill the borders. 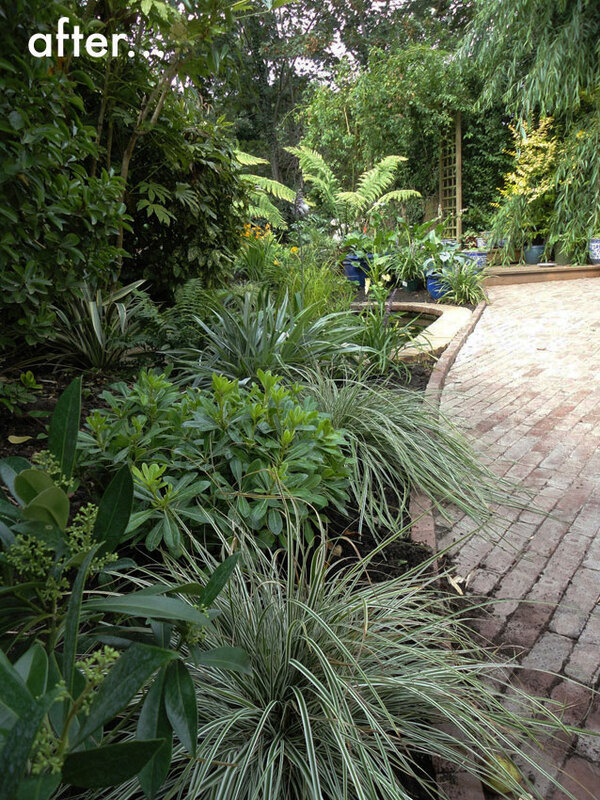 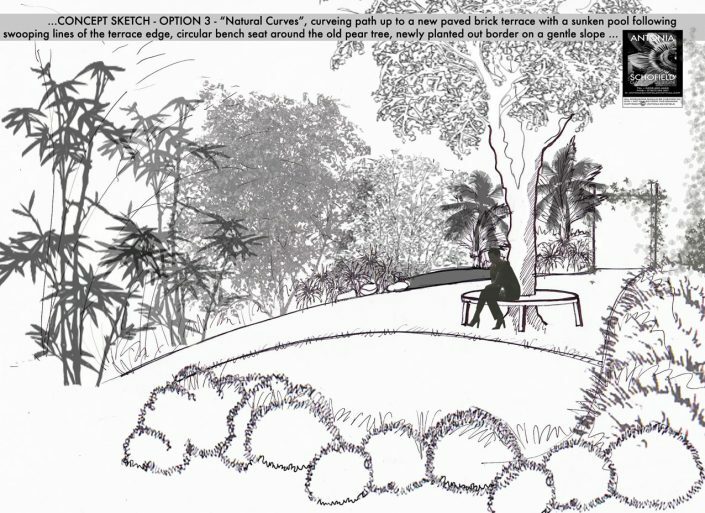 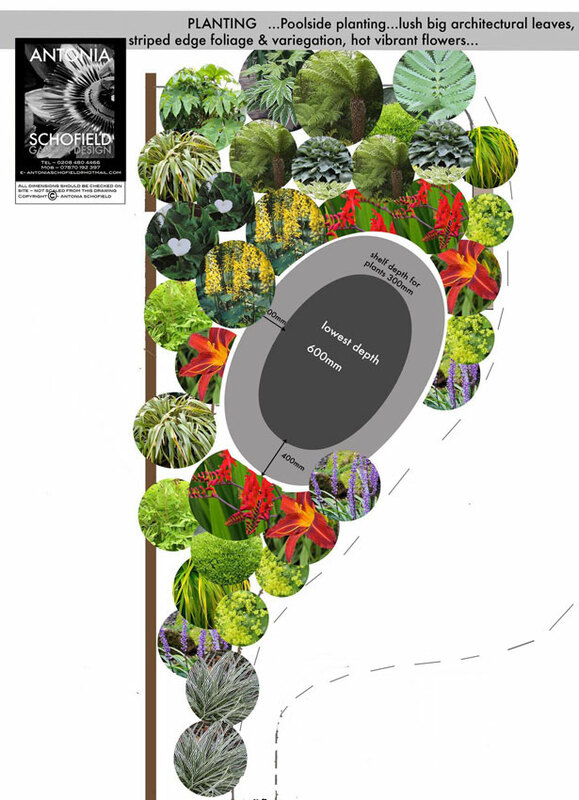 The second zone has the wow factor of the garden – the oval pool and the lush ‘exotic’ looking planting surrounding it. 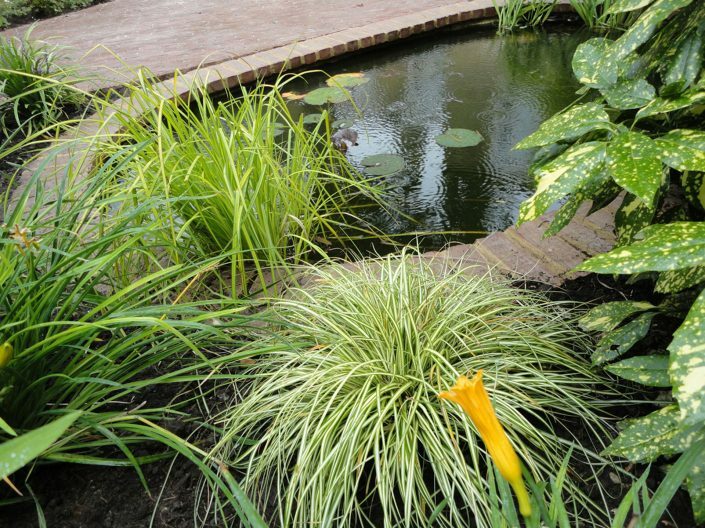 The pool was constructed to be deep enough to be a home for goldfish and visiting pond-life, with an integral shelf for marginal plants. 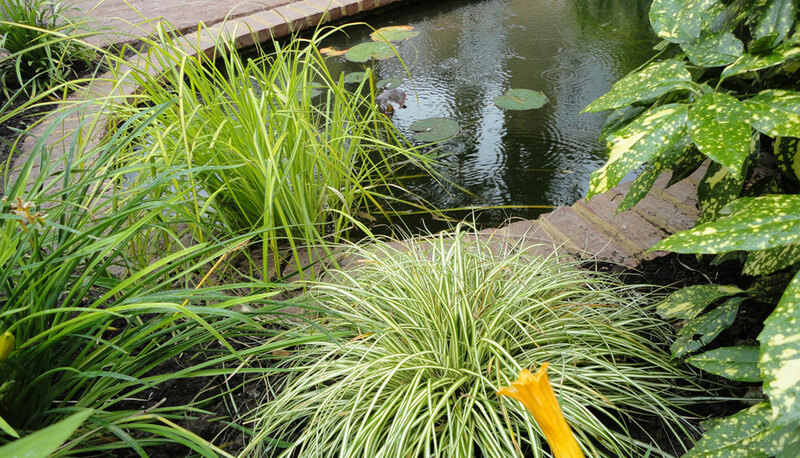 Exotic looking flowers, grasses, and ferns, surround the pool and architectural leaves create drama and structure with splashes of hot colours provided by the flowers.